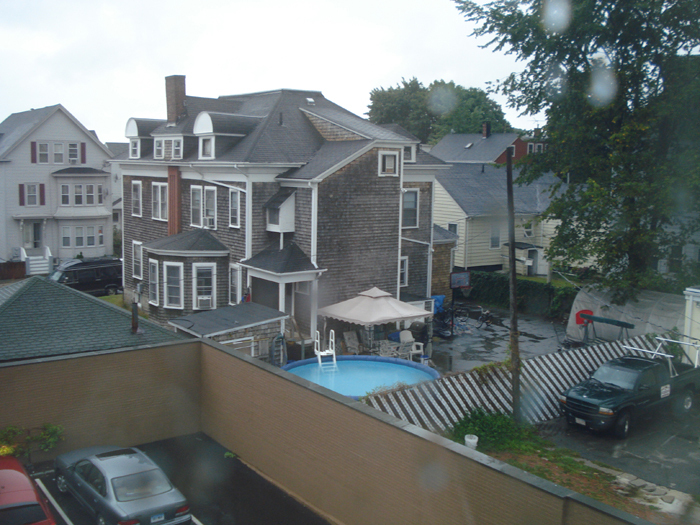 It seems strange to wake up in Bridget Sullivan’s bedroom on the third floor at the back of the Borden house and see a swimming pool from the rear window. The maid’s former perch offers a superb view of Third Street behind the Borden’s backyard fence, now a brick wall. The little fruit orchard directly behind the house is now a garage, and the swimming pool now fills the space where Crowe’s yard and barn used to be. Imagination is now required to recreate how it must have been in 1892.